Well, I've got a new gig, y'all. Beginning in March, I'm wearing the hat, or cloche if you will, of Market Chef for Texas Farmers' Markets. I'm pretty psyched! 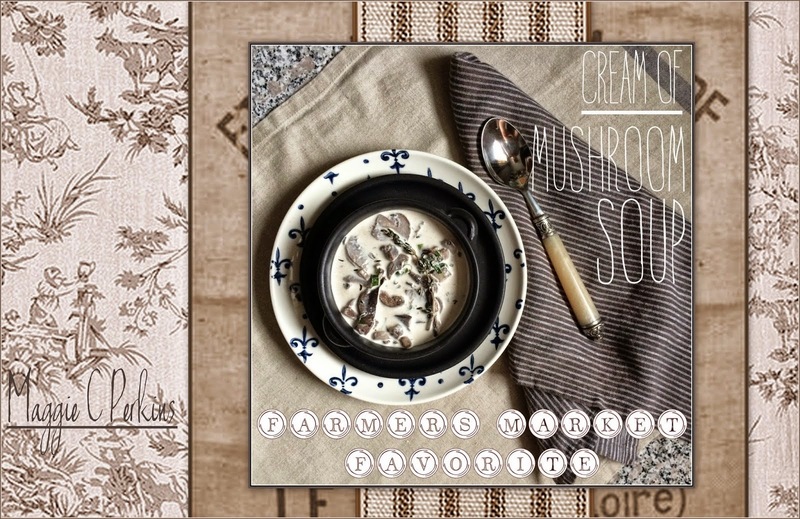 I'll be cooking up a storm of seasonal eats twice a month at the Cedar Park Farmers' Market, and the Mueller Farmers' Market, with another possible market on the horizon. Please consider following the Facebook pages for each market, and my own Facebook blog page, for notifications about upcoming appearances. If you find yourself in the area, I'd love to see your shining smiles! So what am I making this weekend at the market? Well heck, that remains to be seen. Because...and this is the FUN PART...I will arrive at the market with NO PLANS in place and NO RECIPE in hand. I'll shop the market just like any market-goer would, selecting the best of the season from the market to prepare and sample. And you can best you'll find the results on this blog, shortly thereafter. I'm pretty excited. I hope you'll follow along! And if you can't get yourself to these farmers' markets, I do hope you'll hunt one down in your neck of the woods and support your local farmers. 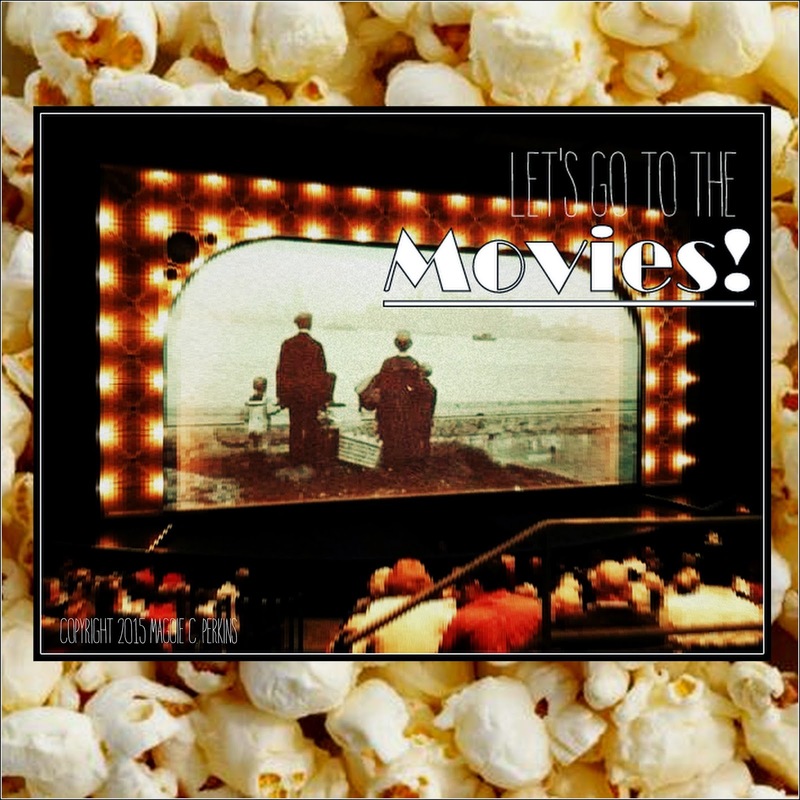 UPDATE: Let's Go to the Movies with Oscar! UPDATE: It's the big day!! We're hours away! As soon as I press update, I'm off to Karen and Jean's house to eat, eat, eat and admire/criticize the red carpet. And, in preparation, I saw everything I hoped to see! I saw every Best Picture, Director, Actor, Actress, and Supporting Actor and Actresses. I even yawned through Into the Woods. I've updated this post, in red, with my thoughts on each category. What/Who were your favorites? May The Grand Budapest Hotel the BEST movie win! Sometimes, I do things other than cook, eat, garden, and photograph. Though you wouldn't know it from this blog. Sometimes I watch sports. Sometimes I travel. Sometimes I play with makeup. Sometimes I observe (from a middle-aged distance) fashion. One day, I'll share all of the non-food related topics over on this developing blog right HERE. It's a hot mess of construction right now. Today is not that day. TODAY, I'm itching to talk about my favorite winter season--not post-season football, not basketball, not hockey-- AWARDS SEASON. And the granddaddy of all of the awards, Oscar himself, has announced his nominations for 2015 JUST THIS MORNING! I've got to get a move on. The 87th Academy Awards will be televised on February 22, 2015. I have a long list of catching up to do! Below, find the trailers for all of this year's Best Picture nominees. The Academy chose to nominate only eight films for the ten category slot, leaving out a few that probably ought to have made the cut. But my ballot was lost in the mail, it seems. For a complete list of nominees, see the list, following. Below, find the full list of nominees. I've seen the ones scored through, and look forward to 4 weeks plus change of rushing through viewings of those remaining. What have you seen? What is your early favorite? Let's DISCUSS! American Sniper, the highest-grossing war film in North America, and Eastwood's most successful film to date, was not my favorite. It was a good movie about the war experience of U.S. Navy SEAL Chris Kyle, My eyes were glued to the screen, save for when I covered them, from opening to credits. Certainly earned it's action/adventure cred. Seems like there's a blockbuster war movie each award season. It's just a little fresh, and maybe a little much for me. This was the movie I most dreaded seeing. Don't get me wrong. I'm a red, white, and blue patriot, and I admire most of Eastwood's catalogue. I'm not up for sniper fire, I guess. And that fake baby. No. Birdman, the dark comedy/drama written and directed by Alejandro G. Iñárrituon, on the other hand, appealed to me because of the story within the story. Set around a play based on my favorite modern poet, Raymond Carver's What We Talk About When We Talk About Love. Michael Keaton, gave a thoughtful and compelling performance as a fading celluloid super hero, seeking a career renaissance, in an ironic life follows fiction twist. Strong ensemble cast performances by members including Keaton, along with Zach Galifianakis, Emma Stone, Naomi Watts,and Edward Norton all made impressive contributions. Yet the fantastical elements featuring Birdman, the alter ego of Riggan Thomson (played by Keaton) threw me off. I like my realism to stay real, and my fantasy to stay fantasy. That's how I'm wired. I tried to suspend belief, but ultimately failed. I'm almost unanimously in agreement with zero film critics. Guess that's why I'm no film critic. Film lover? Yes. Film critic? Hardly. Boyhood. Boy was this one polarizing. Admittedly, my objectivity was near nil. I live in the city and state which was featured and portrayed so lovingly, I've followed the project for many years, I completely related to the kid-from-divorce angle as well as the divorced mother angle, the music was spot-on ( I'm a big fan of the Black Keys, among the other artists featured) and the darn it if the movie didn't end up in Big Bend. My love for Big Bend, where I spent a meaningful and memorable bit of solo time recently, borders on the spiritual. There were too many commonalities in the movie for me to remain unbiased. Those who aren't loyal Austinites were less impressed. A friend whose opinion I respect reported that he hated it so vehemently, he refused to finish viewing. I loved it. It vies for my favorite. Go figure. The Grand Budapest Hotel, a Wes Anderson comedy, was GORGEOUS. I was captivated by the scenery and setting from the opening credits, and I'm a sucker for pretty. Ralph Fiennes, the Hotel's devoted concierge and lothario, was witty and delightfully restrained in his role, and the interplay between Fiennes character, Monsieur Gustave H, and the young Zero Moustafa, lobby boy (played by Tony Revolori), while understated, is nothing short of hilarious. The cast (THE CAST, OMG!) includes performances and cameo appearances by F. Murray Abraham, Adrien Brody, Willem Dafoe, Jeff Goldblum, Harvey Keitel, Jude Law, Bill Murray, Edward Norton, Jason Schwartzman, Tilda Swinton, Tom Wilkinson, and Owen Wilson. I'm a big fan of Anderson's films, and this one is one of his best. I can't imagine why Fiennes was overlooked for Best Actor, and why this film isn't garnering the buzz and accolades it deserves. I think I'll boldy go on record as saying it's my favorite of the group. The Imitation Game, a historic thriller chronicling the contributions of Alan Turing, widely considered the father of computer science, loosely based on the biography Alan Turing: The Enigma by Andrew Hodges. Turing, played skillfully by newlywed Benedict Cumberbatch was the British cryptanalyst who helped solve the Enigma code during the Second World War, professionally and was later prosecuted for homosexuality, personally. I found the story gripping, with edge-of-the-seat action, and you can bet I'll be watching it again when it is released in video. I'm a bit of an anglophile, and the time period is also of great interest to me, making the combination of setting and story irresistible. Actors all gave their best, and Cumberbatch, deservedly, has been mentioned frequently in award prediction discussions. Selma, the historical drama directed by Ava DuVernay and written by Paul Webb and DuVernay, is based on the 1965 Selma to Montgomery voting rights marches led by James Bevel, Hosea Williams, and Martin Luther King, Jr. of SCLC and John Lewis of SNCC. Perhaps as a result of attending schools in Little Rock, Arkansas, the scene of a nationally-significant school desegregation battle in 1957, I developed a passion for the civil rights movement, and a hunger for knowledge that followed me to college, where I studied the movement under the tutelage of a similarly-impassioned professor. I've seen Ebenezer Baptist Church in Atlanta, I've walked the halls of Little Rock Central High School, I've visited the 16th Street Baptist Church in Birmingham and wept for 4 innocent little girls, and I've driven over that bridge in Selma, featured so prominently in the film. I admit all bias. Selma has been criticized for it's portrayal of President Lyndon Johnson, however I found it accurate. And I join those who question it's exclusion in every other award category other than Best Picture. I was moved by the film and performances of its cast, watching with handkerchief in hand throughout. Perhaps like my discomfort with American Sniper, the painful honesty of this dark chapter in our country's history is difficult to confront yet again on the big screen. Imagine how difficult it must be, then, to live in the shadow of its legacy. The Theory of Everything gave us a rare, if polished, peek into the life of a younger Stephen Hawking. The British biographical romantic drama directed by James Marsh , was adapted by Anthony McCarten from the memoir Travelling to Infinity: My Life with Stephen by Jane Wilde Hawking, which chronicles her life with ex-husband, theoretical physicist Hawking, his diagnosis of motor neuron disease, and his success in physics. While the film gives us rare and brief unflinchingly honest observations about the complexity of Hawking and the effects of the disease on his personal life and relationships, it misses many opportunities to delve deeper than the surface of the story, instead falling back on a tidied-up, glossed over narrative. It started out so promisingly, but by the end of the movie, I was resentful of its unwillingness to really go there. No disparage intended for the award-worthy performances of Eddie Redmayne, as Hawking, and Felicity Jones as Jane Wilde, who admirably wrung as much from the script as they could. What talent there is between those two actors. Don't get me wrong-- it's not a dud, however of the list of nominees, moves to the bottom of my favorites. There's really not a bad movie in the bunch. I enjoyed watching every one of them. But according to Academy politics, this could go any way. They may try to avoid it all by crowning The Grand Budapest Hotel. I'd be good with that. But it's a longshot. Vegas says Birdman or Boyhood. UPDATE: I'm in agreement with many others that it would seem that a picture that earns Best Picture nominee status, should also land its director in the Best category. If Selma truly is one of the best 8 pictures of the year, Ava DuVernay belongs here. If Bennett Miller truly is one of the five best directors, Foxcatcher belongs in the best picture category (and it was very dark, but very good, incidently). I expect the award to go to Linklater, for his ground-breaking 12 year-long labor of love. UPDATE: Y'all, there were all great. Cumberbatch was my favorite. Redmayne has the most challenging role to portray. I hope to see Carell in a dramatic role again. I know I'll see Cooper everywhere. I expect Keaton to win. UPDATE: Jeeze this category was full of stellar performances. I'm sorry to see that Witherspoon won't get the nod this year, because in any other year, her performance as a flawed-but-courageous grieving daughter and determined hiker would win her another statue. Pike was compelling, Jones showed more complexity than her on-screen husband, and Cotillard was plucky and believable in the French language 2 Days, 1 Night. This year, it's going to Moore. And it should. UPDATE: J.K. Simmons. Bank on it. Edward Norton for an upset. Ruffalo was a light touch among intense characters. Duvall played Duvall in a made-for-tv quality movie, and I cringed when Ethan Hawke entered the scene in Boyhood. UPDATE: I MISSED ONE! In all fairness to Inherent Vice, I won't even attempt a guess. UPDATE: WHERE THE HECK DID NIGHTCRAWLER PLAY?? The second batch of categories, for me, is not as much must-see viewing as it is like-to-see. Documentary, Foreign Film, and Animated Features often are seen at home, but keep an eye open for local theaters that run special showings. In Austin for instance, Violet Crown Cinema is advertising, coming soon, a viewing of all nominated animated shorts, and action shorts. Well hello there and Happy Mardi Gras! Laissez les bon temps rouler! 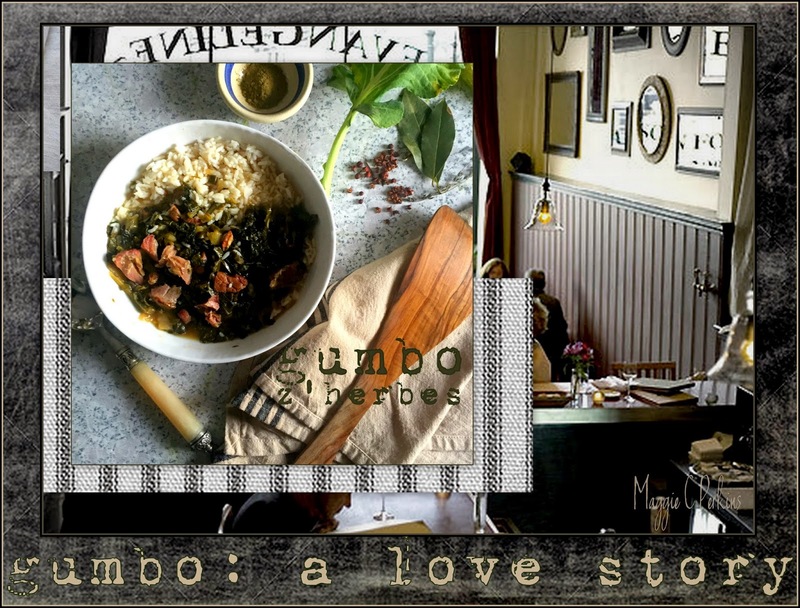 Beginning on this day before, and continuing through the Lenten season, we'll be visiting the history of, including my own personal history with, gumbo. Just typing the word makes my heart flutter. Though I'm a Texas girl now, and have been for 17 lively years, my culinary heart belongs to Louisiana, where I learned to cook beyond the nachos and ramen that served to fortify me as a teenager. I spend a little time back in the area, and I'll be sharing some of those sojourns over the next few weeks, but still, today I'm homesick. Homesick for the big party of JOY that is Mardi Gras in New Orleans. For it was in New Orleans that I fell in love with a city, fell in love with its cuisine, and simply fell in love. 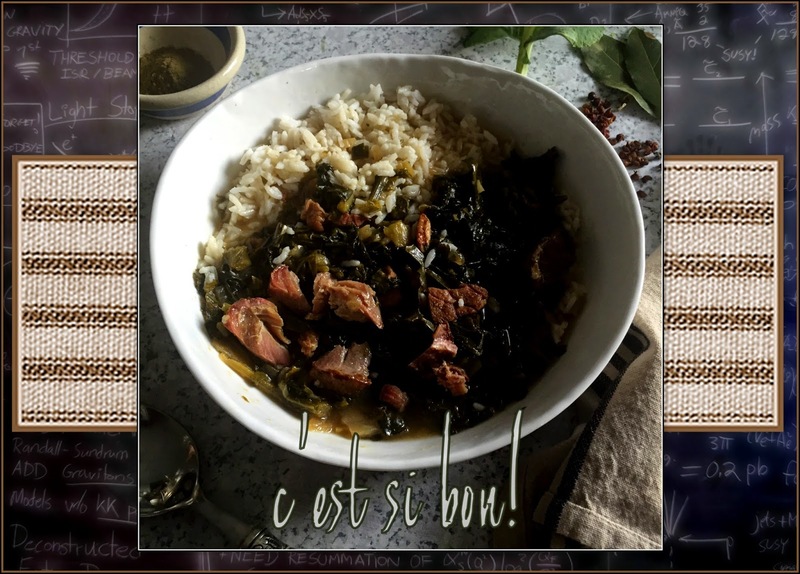 Today, I celebrate along with the Big Easy, with a non-traditional recipe for traditional Gumbo Z'herbes. Customarily, Gumbo Z'herbes, also called Green Gumbo, or Greens Gumbo, is served meatless-- prepared on Holy Thursday for Good Friday. From that custom, it has grown to be served any time of the year, with or without meat, with one or all three members of the Holy Creole Trinity, with or without roux. I've tested recipes using all of the variations listed, and even a few more over the years (white wine used in the stock was a unique, and tasty version, but the one that added tomatoes? That was just wrong.). This particular gumbo was made of, clockwise from upper left, Flat Leaf Parsley, Cabbage, Scallions-- green tops only, Collard Greens, Arugula, Turnip Greens, Dandelion Greens, Pea Shoots, and Lacinato Kale, center. Collect as many greens as suits you, but remember that variety in texture and pungency is your aim. For a large stockpot of gumbo, I used one bunch of each of the greens labeled above. 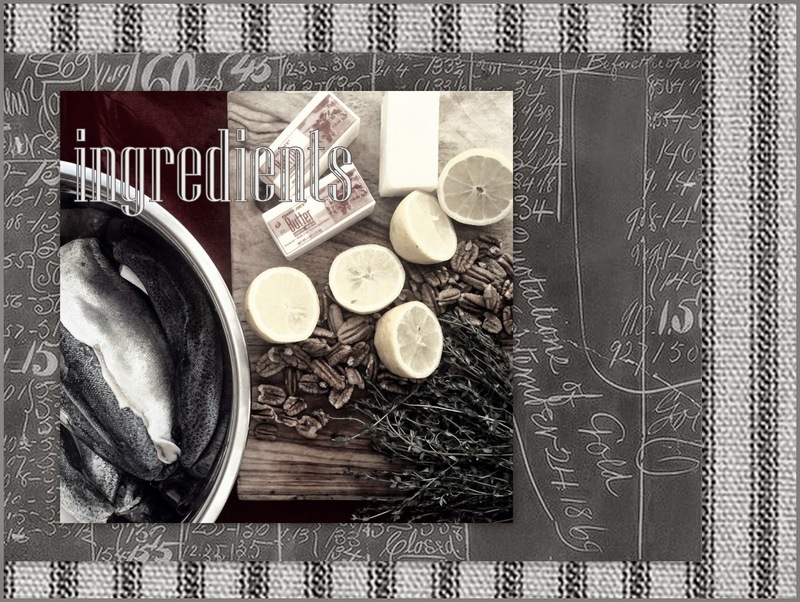 As is the case with so much culinary folklore, recipes are inexact, and quantities are more often measured in bunches, pinches, and handfuls, than exactly, so I will share this recipe in much the same way. It is an amalgamation of the many bowls of greens gumbo I've enjoyed over the years, and this particular version, the big crowd pleaser, has become the pot I stir most frequently. In fact I prepared it for the local farmers' market this weekend, and was pleasantly surprised by its reception by the young market-goers. One enthusiastic fella wrote down the name of my blog on his forearm with his Dad's pen, and approval. Those are the kind of votes of confidence that surprise and delight a chef or home cook, alike. So where's the roux, you ask? Well, as mentioned above, this dish is frequently made with, or without roux. 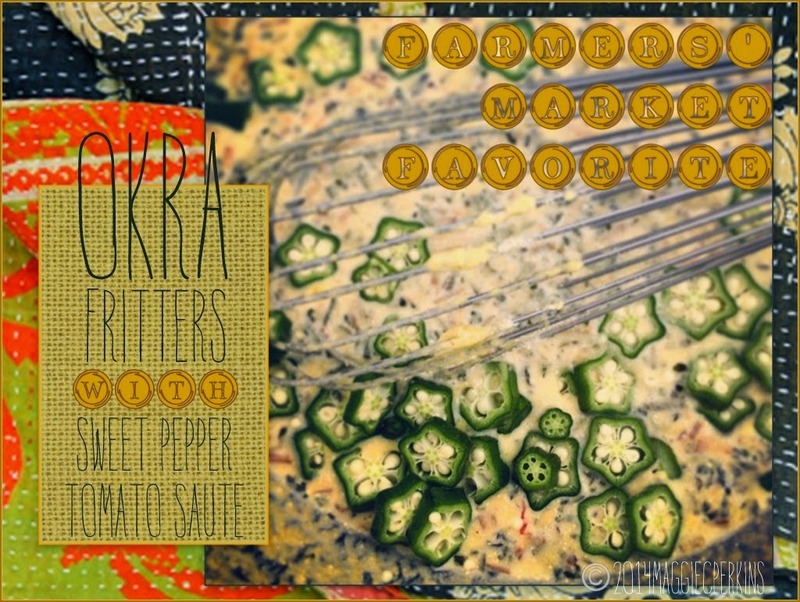 There are three methods used for thickening a gumbo-- Roux, (golden, nutty-brown, or dark chocolate brown), Okra (currently not in season), and File' powder. We're using the file' powder here, for simplicity. Just this once. Hint: I use trimmings and stems to fortify vegetable stocks, add to pesto, or even up the nutritional ante of a morning smoothie. I'll share a little secret with you, while we're here. I never liked greens. They made me wretch. They were strong and slimy and YUCK. Until I learned how to prepare fresh greens, that is. Until I learned that I liked them smoky (with pork stock), a little salty, a little peppery, a little garlicky, and chopped very fine. Others have their own sworn-by methods, but for me and my gumbo pot, these are the rules. If there is among you those who also have turned up their nose at the mere mention of greens, this may be your gateway greens dish. Those kids at the market seem to think so. 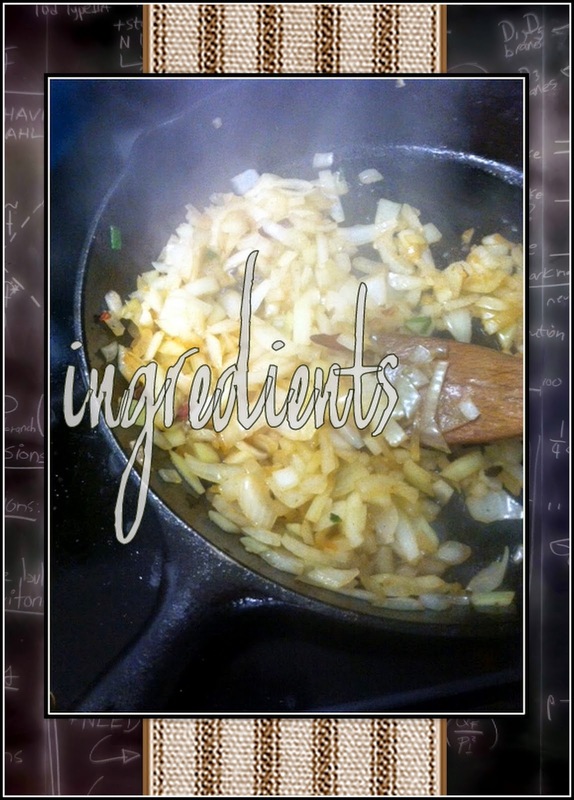 In a heavy-bottomed skillet, cook onion in lard until wilted and transparent. Add minced garlic and cook, stirring, one minute longer. Transfer to a large stock pot. 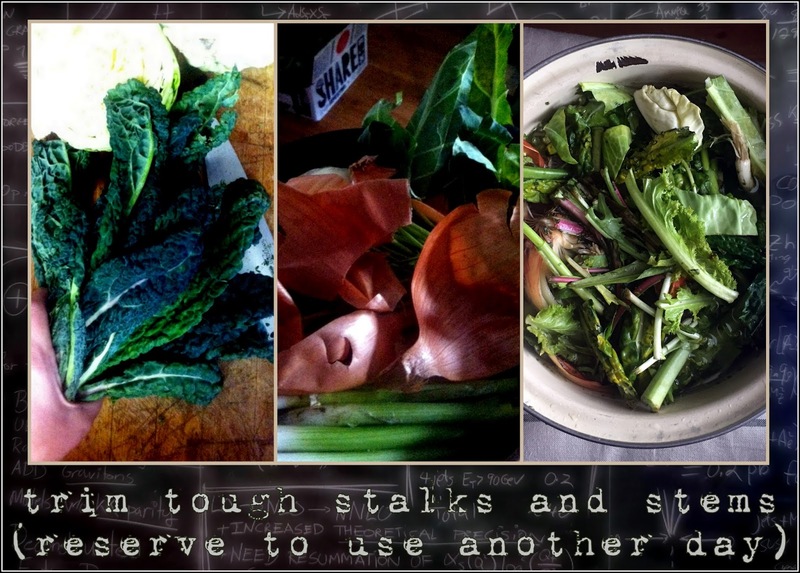 Over medium heat, stir in greens in batches (using tougher greens like cabbage and kale, first), and allow to wilt slightly before adding the next batch. Greens wilt quickly, and you'll find that bushel of greens you had to very efficiently dress itself down to a soup pot in short order. Add ham hock or other optional seasoning meat. Skip this step for a meat-free gumbo, natch. Cover with chicken stock, adding additional liquid as necessary to cover greens by a few inches. Add fresh thyme and bay leaf, and season with cayenne pepper, salt, and black pepper, to taste. Bring to a full boil, skimming any foam released by ham bone, then reduce to a low, rolling boil, for 2 to 2 and 1/2 hours, stirring occasionally. Serve over cooked rice, optionally adding file' powder to individual dishes. Lard can be substituted for butter, bacon drippings, or neutral-flavored cooking oils, if you're opting for a meat-free version. 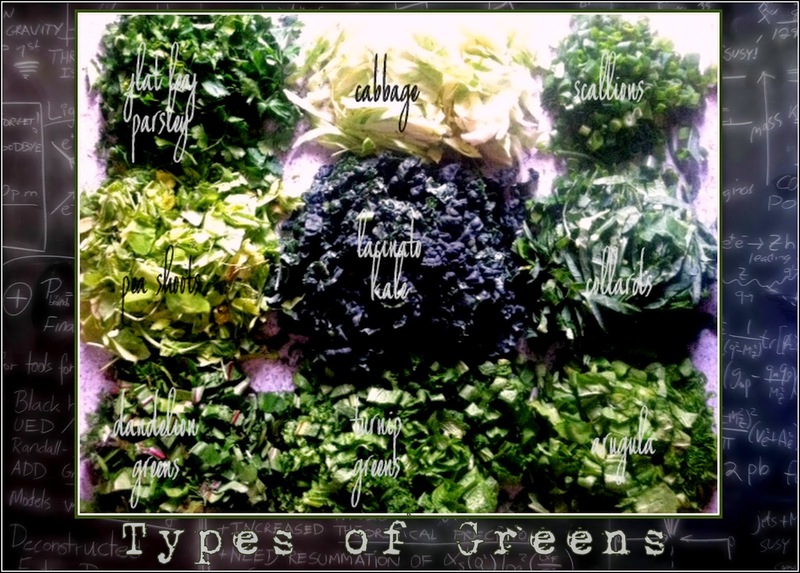 Greens can include anything you can get your hands on, keeping in mind a variety of textures and flavors. Pepper Grass, a type of wild edible weed found in the region, was a traditional addition, however it has become difficult to find-- I use arugula, and often scallion tops, to duplicate its flavor as closely as possible. Chicken stock can be substituted by, or used in conjunction with filtered water, vegetable stock, or even a little white wine. I begin with chicken stock, and add filtered water as needed to maintain the desired level of broth. I love the smoky pork flavor that informs this particular version, and frequently use smoked ham hocks, smoked turkey necks, or when I'm feeling fancy a smoked, cured ham steak. You may also omit the meat altogether, for Lenten Friday's and vegetarian and vegan diners. I prefer to serve this gumbo over a separately prepared bowl of rice, however you may add the cooked rice to the finished gumbo, adding more liquid and warming through as necessary. 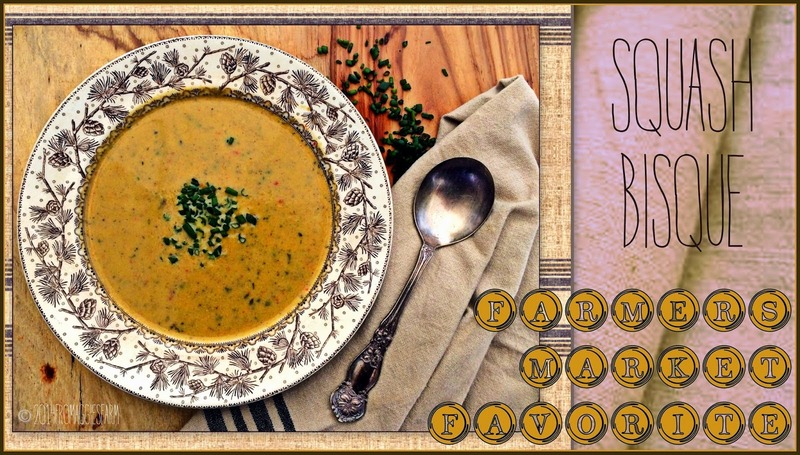 Stop back by later this week for Chicken and Andouille Gumbo, a perfect choice for warming the tummy, and the heart, on Notes from Maggie's Farm. Forget diamonds, roses, chocolate. Preparing an elegant meal may be the most intimate, caring, ney even romantic, way to show those we love just how much they mean on Valentine's Day, or any day. But elegant need not be overly-fussy or complicated. Simple yet sophisticated, this Trout Pecandine will impress your special guest, and get you out of the kitchen in short order. 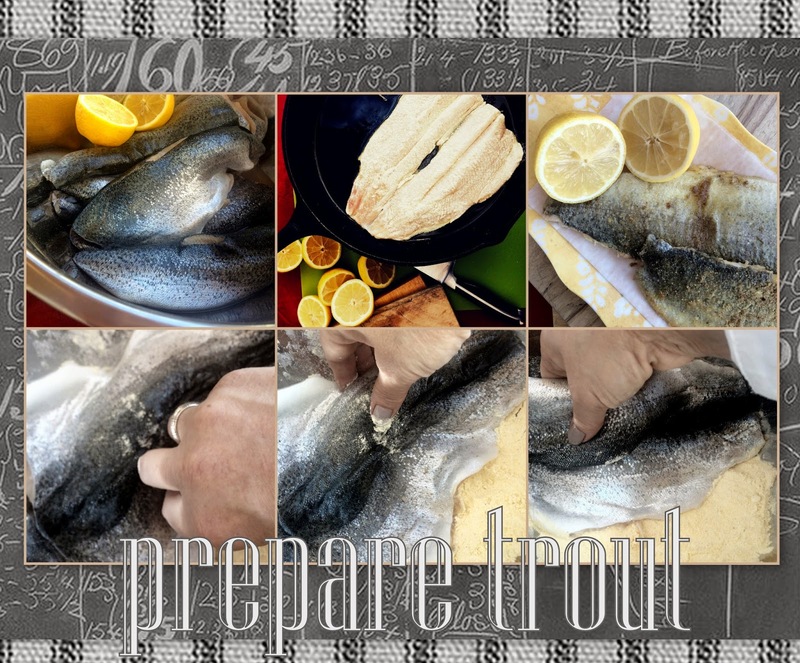 Allow one Rainbow Trout, boned, per 1-2 people. These gorgeous filets were prepared for the Mueller Farmers' Market, Austin, courtesy of K & S Seafood. 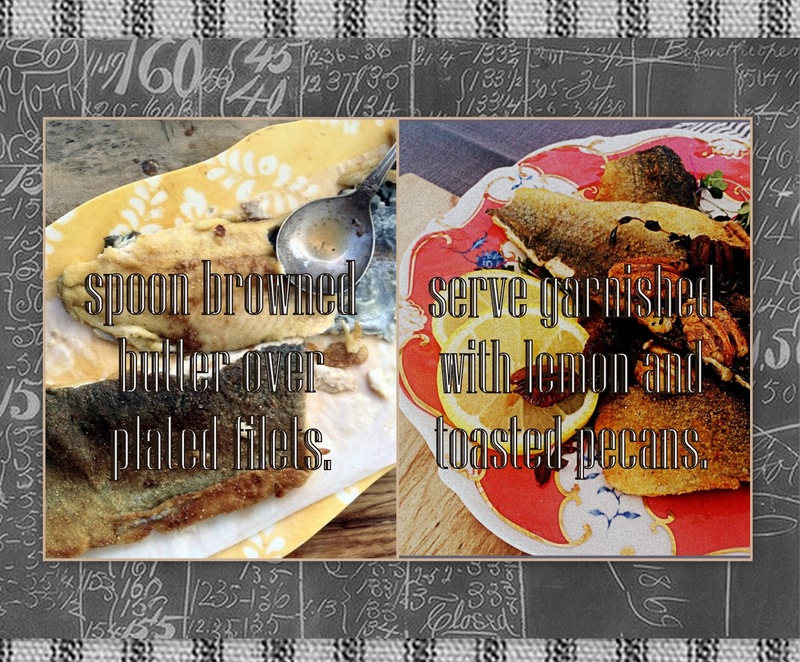 (If you choose to serve this entree with a salad of mixed greens dressed with a simple vinaigrette, and perhaps a some roasted asparagus, you'll be safe with one fish per piece. If you plan to serve an additional appetizer or soup, a heavier side dish, a starch, and/or dessert, 1/2 fish per person will be plenty. Remember to keep it light. 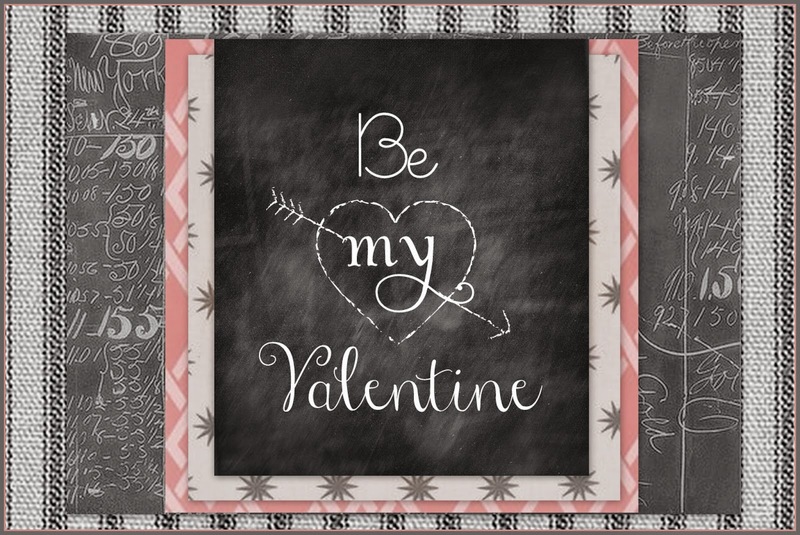 It's Valentine's Day, wink, wink.) Gather 1/4 cup finely milled cornmeal (We used OrganicareFarms freshly milled cornmeal. It's the best kept farmers' market secret, but it won't be for long! ), 1/8 cup flour, 1 tsp. kosher salt, a few grinds of the peppermill, a few sprigs of fresh thyme, 1/4 cup pecan halves, 1/4 cup unsalted butter, 1 whole lemon. 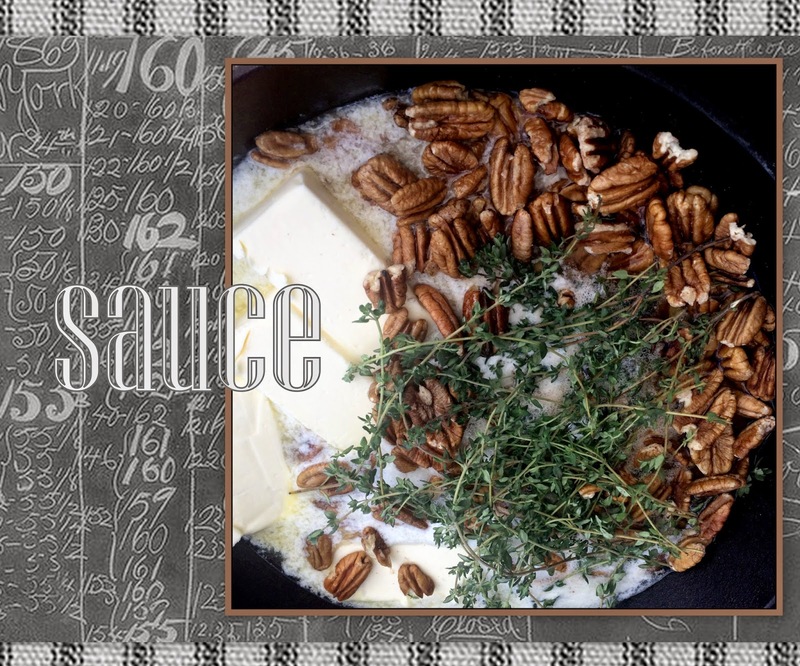 Browned butter, also known as beurre noisette, is the base of this Pecandine sauce, infused with toasted pecans and fresh thyme. In a heavy skillet (Have a mentioned my passion for cast iron? ), combine thyme, pecans, and butter over medium heat. Melt butter, stirring occasionally, and maintain sauce at a rolling simmer, stirring more frequently. Butter will foam as water is released, and then begin separating slightly-- the milk solids will seperate and begin to brown, and the butter will become a dark amber. Stir constantly at this stage, monitoring pecans as butter browns, removing them when they are toasted to a dark brown. Remove sauce from the heat. It will continue to cook, so give it an occasional stir as you prepare the fish. 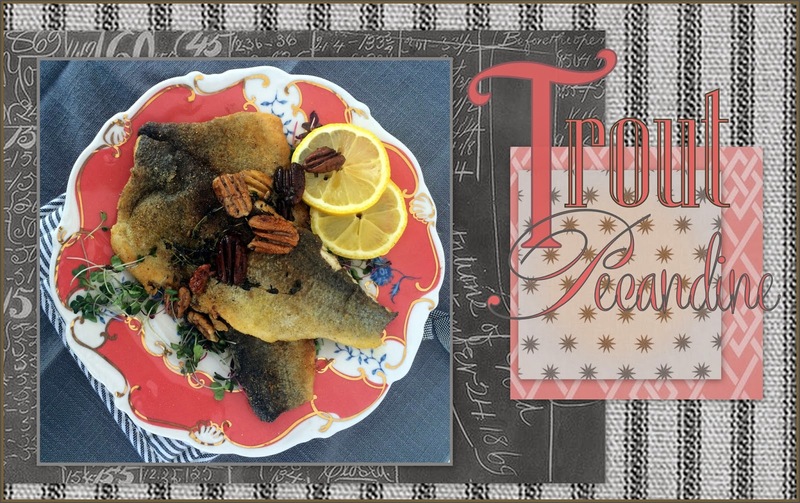 I prepared this fresh Rainbow Trout courtesy of market vendor K & S Seafood, for the Mueller Farmers' Market in Austin. Wash filets and lightly pat dry. In a mixing bowl, dredge each side of filet with cornmeal and flour, which has been combined well and seasoned with 1 tsp kosher salt, and several turns of the peppermill, In a separate heavy skillet, coat pan with oil to a depth of approximately 1/4 inch.until oil warms to a shimmer, and gives off a very faint smoke. Add dredged filet skin side down, carefully. Cooking one filet at a time, until flesh is opaque, about 2-3 minutes, preventing sticking by sliding under fillet with a fish spatula. Again very carefully, assure that skin and light batter has a light crisp, and turn when golden brown. Cook 1-2 minutes on the opposite side, or until golden brown. Remove to parchment lined pan to rest and repeat with second fish. Remove to plate. 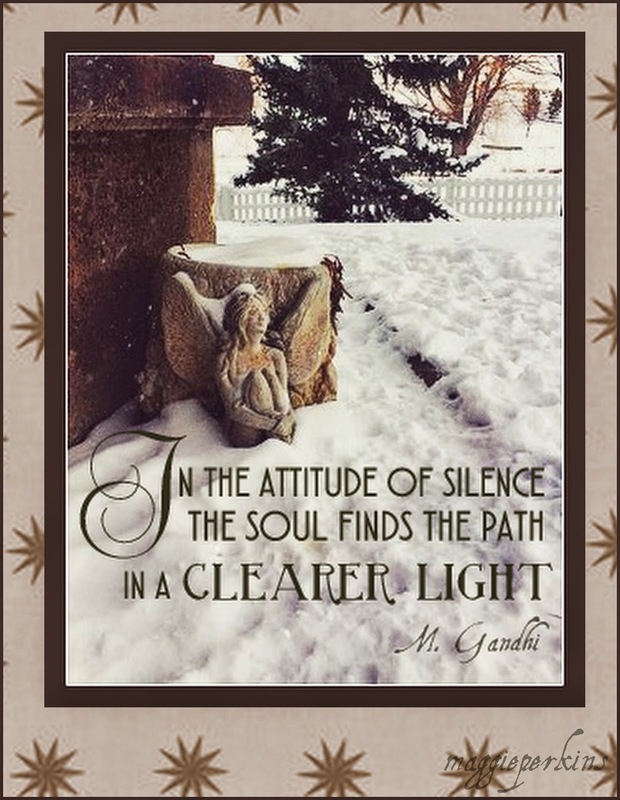 Sprinkle with a scant dust of salt. Give a light once-over squeeze of a lemon half. Serve with a buttery Chardonnay, Sancerre, or Riesling. I might make a vinaigrette with dijon and the zest and juice of a lemon, minced shallots, maybe even a finely minced anchovy filet, and stir in one full head of flat leaf parsely washed and dried well, chopped, removing larger stems.I'd add thinly sliced radishes and shavings of a salty parmigiano reggiano, and serve in a nest of butter lettuce. Dessert? Creme Brulee with fresh berries, if you're ambitious, or close to a trusted bakery. A scoop of lemon sorbetto with raspberries and just a tease of candlied sliced almonds, dusted over a little dollop of whipped cream, maybe. Or two spoons and heads touching over a pint of Cherry Garcia. That's my favorite. Music? Van Morrison, Billie Holiday, and Otis Redding. Room enough for a slow sway on bare floors. Oh yeah. We're pulling out the big guns. Happy Valentine's Day, young lovers.